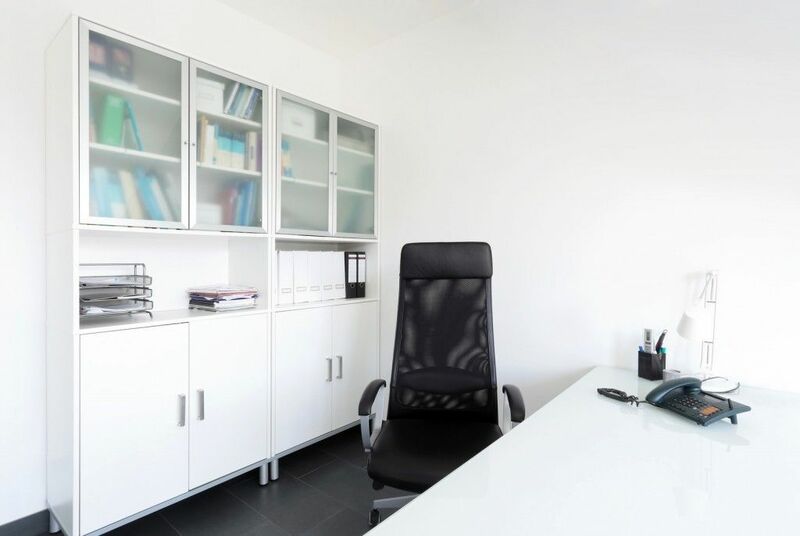 Consider Executive Office Design – You’ve Come this Far, & You Deserve it. Small businesses work hard to earn it. But we all know that contrary to what others say, sometimes all it takes is a deeply impressive office to get it quick. It is essential for a huge percentage of high paying contracts and elite clientele. When you remodel or move from one location to the next is the perfect time to think about it. It is easy to put it off. “It” being the company founder’s space. This is the space where all the highest paying and most important people are hosted. Your company deserves to make this space a top priority. Executive office design will not be easier to fit in later. It is perfect right now. The main issue with pre-fab cabinets is that you lose space. They don’t fit perfectly to the room and they don’t fit perfect to your needs. You end up compromising. What is the point of remodeling then? At least get a few quotes. Ours is free anyway. Before you get that far, lets look at other things. What is important when you do decide to dive into executive office design? Of course we make it beautiful and functional, with a reflection of the executive’s style. But executive office design is so much more than that. Psychology must be taken into account. A balance of power and comfort has to be achieved, too. There is a reason executive desks of powerful movers and shakers are front and center, without monitors or clutter. It is because the person is the center of power. No stacks of stuff mean they have it all under control. You won’t find their desk pushed to a corner and covered with clutter. “Comfort?” an employee would say sarcastically. Well… I know standing in front of a high executive desk is intimidating, it is meant to be. But imagine that room. 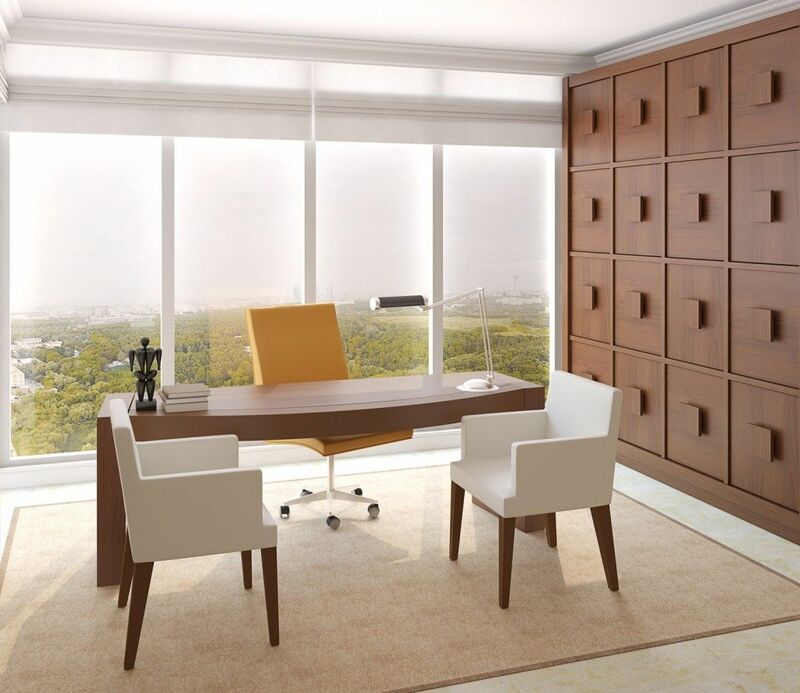 A perfect executive office design has places to sit, lamps and tables. It is a place to entertain people of note. It is clean. No clutter. Wow. But executives are actually some of the busiest people with the longest hours. Where do they keep all their stuff and be productive?The only way to achieve the perfect balance of control, clean counters, organization, and keeping it all close at hand is through careful design of great cabinets. With a great cabinet design it will all be right there, just not in the way of you and your conversation. Your monitor will be within reach, have no fear! Another small desk top built into the cabinetry often does the trick. There are a ton of considerations that a professional designer can easily walk a commercial company through. Contact I&E, make executive office design easy.